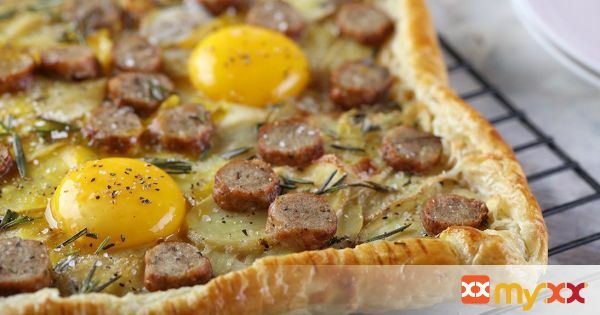 Sausage and Egg Breakfast Tart on puff pastry sheet. 3. Fold edges over slightly to form crust all around, pressing with fork slightly to seal. Brush with egg wash and bake for 6 minutes to lightly brown.